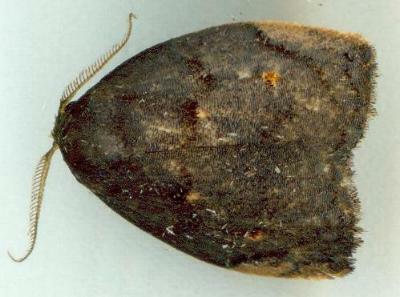 The moth of this species has dark grey forewings each with some dark curvy lines and small yellow markings. The hindwings are white. The moth has a wingspan of about 2 cms. Volume 20 (1913), p. 223, No. 330.